Conceived in 2016, Searmanas is the solo project of electronic producer Niabi Aquena, her moniker derived from Gaelic and meaning “ceremony” or “ceremonial”. Originally hailing from the Shanandoah Valley in rural Virginia, Aquena has based her musical practice in New York City for almost two decades. A classically trained pianist and vocalist, her musical evolution has led her to experiment with electronic hardware. 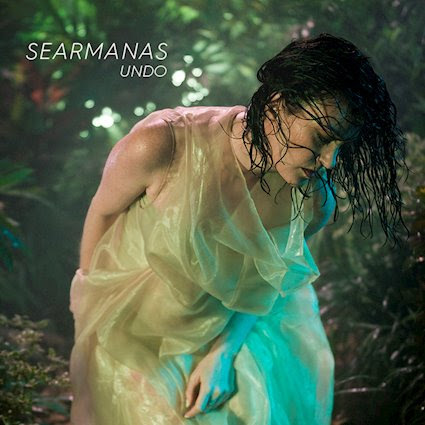 Searmanas’ sound explores the role of ceremony within urban experience, resulting in severe, textured landscapes with touches of sparse vocals. Her wordless poetry ranges from industrial glitches to layered, oceanic progressions, all tied together by an aura of questioning and chaos. Her music is inspired by early Aphex Twin, Ryuichi Sakamoto, early Tori Amos, Jóhann Jóhannsson, Grouper, FKA Twigs and Fever Ray. Searmanas has performed with the likes of John Bender, Hieroglyphic Being, Miho Hatori, and Mahogany. She is a member of Brooklyn-based media collective CHASM and regularly performs live in NYC and beyond. “Phonetics is a minimal yet complex drone imploring the listener to understand, to hear – like a satellite moving overhead from one point in the sky to the next, seemingly unmoving yet gaining distance. Liberosis is a word that is defined as the desire to care less; you want only to be able to let go yet find yourself unable. Nodul Tollens is the the realization that the plot of your life doesn’t make sense to you anymore; you keep finding yourself immersed in passages you don’t understand,” explains Niabi Aquena.